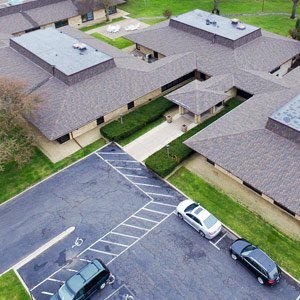 While you may be a firm believer that it is the inside of the building that matters, whether it is your home or a commercial building, the truth is that no component of a building is as important as itsroof. Usually, this element is the most overlooked of all. 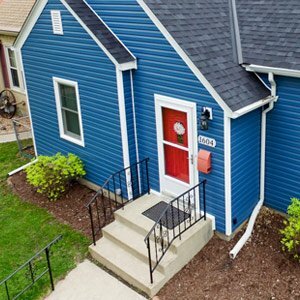 Often thisis because only a few think about spending their money to maintain a roof, which we don’t often take the time to look at, compared to using the money to improve the interior décor of their home instead. However, roof maintenance is crucial. Fortunately, if you livein Edina, a roofing contractor is easy to find since there are a variety of differentcompaniesto choose from. Make sure you choose a contractor who is worth the investment. One such Edina roofing contractor can be found within the highly skilled workforce atSnapconstruction Roofing. Youmay wonder, however, why should you invest at all in an Edina roofing contractor? You should do so because house maintenance is not just about ensuring that the exterior and interior of your house are sound in fair weather. It is also about taking care of the thing that protects you from harsh weather – the component without which you won’t be able to live comfortably and wouldn’t enjoy such low energy bills. Roof maintenance ensures that any small amount of damage to the roof (and perhaps also the ceilings underneath)is detected and taken care of long before it transforms into a major concern. It is preferable that you let professional contractors, like Snapconstruction Roofing, deal with such issues. This is because professional care leads to long-lasting results and, thereby, will help you save money in the long run. The reason you need to get your roof inspected regularly is that every time the weather of the city you reside in changes, your roof either expands or contracts. Such regular expansion and contraction can lead to cracks in the roof which, if not attended to quickly, can result in significant leaksand water damage. Therefore, hiring a local roofing company to maintain your roof is vital. A well-maintained roof is the answer to all your concerns about your family’s security and safety. Simply put, you need a sound roof to protect your loved ones from the harsh weather. Hence, we advise you to maintain your roof by hiring a professional in your local area. This could be aqualifiedEdina roofing contractor if you live in Edina, Minnesota, for example. Hiring someone who knows what they are doing is vital to guaranteeing the longevity of your roof. There is more to fixing a roof than merely bolting together some screws and woodand then hoping all of it willlast!A professional can understand the intrinsic issues which are often found behind a damaged roof and deal with the problem accordingly. Similarly, they are equipped to perform the task without hurting themselves. Considering how likely you are to take a fall while fixing your roof without the proper equipment and safeguards, it is best to leave it to the professionals. It is important to invest in a professional contractor if you wish to save money in the long run. Hire an Edina roofing contractor and provide your roof with the care it deserves. Visit here to know the Factors to pay heed to while selecting a roofing contractor.